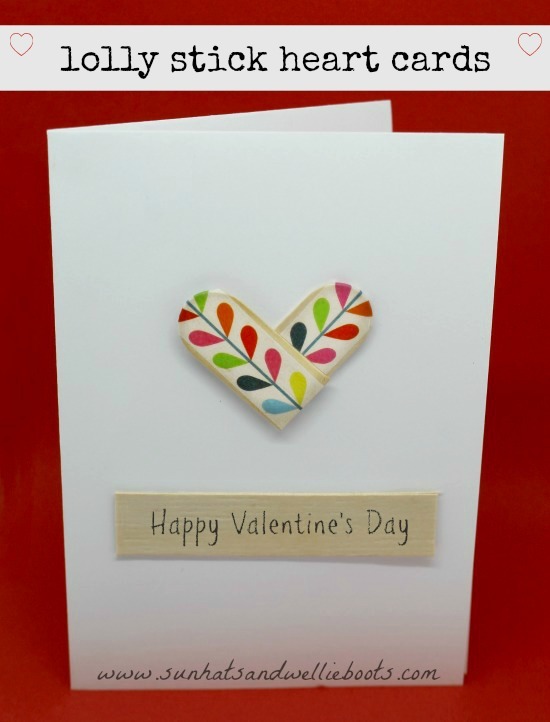 These magnetic popsicle hearts are a perfect card & gift combo to share a little love this Valentine's Day. 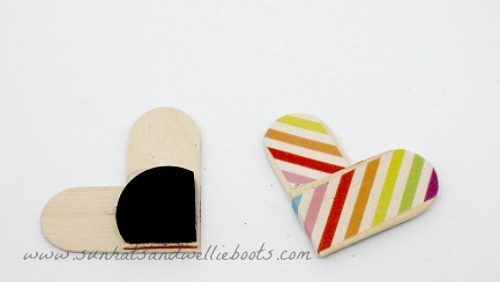 Made from a lolly stick, they're simple, fun & frugal for kids to make. These hearts make such cute little gifts which can be used long after Valentines Day. 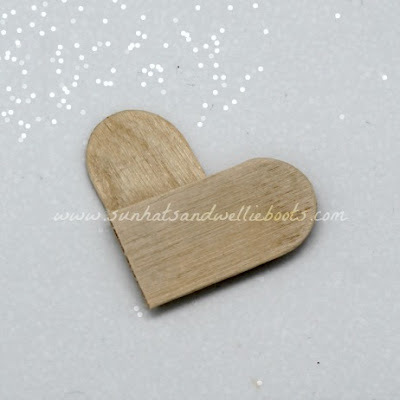 To make the magnetic hearts we used just one wide popsicle stick (like these) & cut the top & bottom off with scissors. 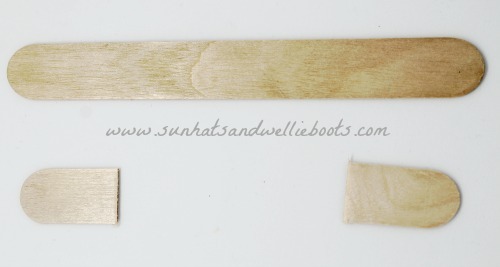 When you cut the ends just check the lengths are the same size otherwise your heart may not be symmetrical. Keep the middle section of the lolly stick for later. To turn the end sections into a heart we overlapped them & secured with a glue gun. We made sure the cut edges were in line with the sides to create a neat finish, & then our little hearts were ready to be decorated. The wonderful thing about this craft is that there are no limits when it comes to decorating them! If possible I would set up the activity so children could freely choose from a variety of materials (which were age & ability appropriate) & let them explore & create their own designs. It's always interesting to see which items they choose & a neat way of observing hand-eye coordination & motor skills. To decorate our hearts we used a selection of washi tape, felt pens, glitter, self-adhesive gems, & stickers. Each produced a bright, colourful & unique result. 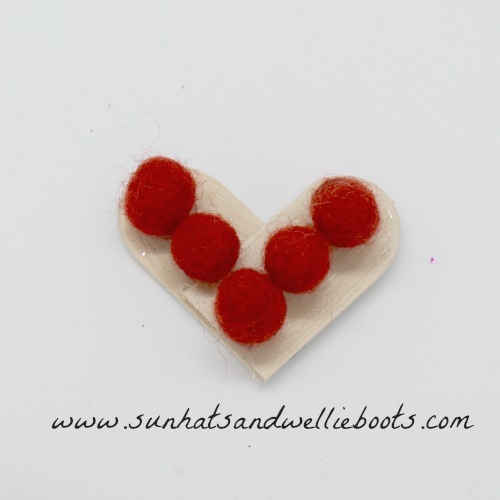 To create a more tactile heart with an alternative texture we added some small pompoms using the hot glue which created a neat effect too. When we were happy with our hearts we added a magnet to the back of each one. We used magnets from Baker Ross which we cut to size & then attached with the glue gun. 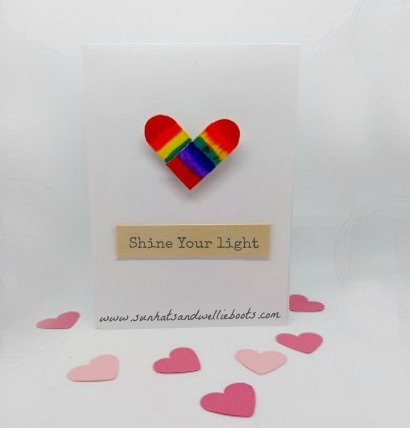 These magnets were self-adhesive but we used the hot glue just to make sure the hearts were really secure. 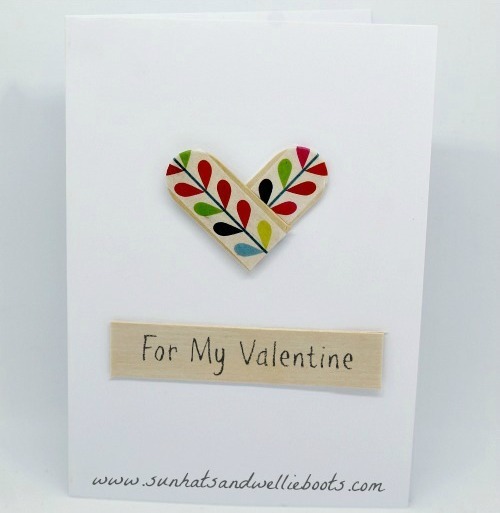 Such a great craft for all ages & a card & gift combo which is bound to be treasured by recipients too.